Reckless driving is a more common criminal offense in Florida, but it still has significant penalties. If you have been arrested for reckless driving, you should speak with an experienced Orlando criminal attorney at your earliest opportunity to learn about your rights and the defenses that may be available to you..
1) Upon a first conviction, by imprisonment for a period of not more than 90 days or by fine of not less than $25 nor more than $500, or by both such fine and imprisonment. 2) On a second or subsequent conviction, by imprisonment for not more than 6 months or by a fine of not less than $50 nor more than $1,000, or by both such fine and imprisonment. 1) Damage to the property or person of another commits a misdemeanor of the first degree punishable by up to 1 year in the county jail. 2) Serious bodily injury to another commits a felony of the third degree punishable by up to 5 years in State prison. The term “serious bodily injury” means an injury to another person which consists of a physical condition that creates a substantial risk of death, serious personal disfigurement, or protracted loss or impairment of the function of any bodily member or organ. In addition to any other penalty provided, if the court has reasonable cause to believe that the use of alcohol, chemical, or controlled substances contributed to a violation of this section, the court shall direct the person so convicted to complete a DUI program substance abuse education course and evaluation within a reasonable period of time specified by the court. If the DUI program conducting such course and evaluation refers the person to an authorized substance abuse treatment provider for substance abuse evaluation and treatment, the person will be required to complete the treatment. If you or a loved one has been arrested for reckless driving, you should speak with an Orlando criminal attorney. In many reckless driving cases, a properly prepared defense by a criminal lawyer will result in either reduced penalties, reduced charges, or a dismissal of the charges. Even in reckless driving cases where the evidence of guilt is overwhelming, a properly prepared defense and presentation of mitigating circumstances by an Orlando criminal attorney can result in significant decreases in the penalties you receive. Florida Statute 316.192 – Reckless driving. 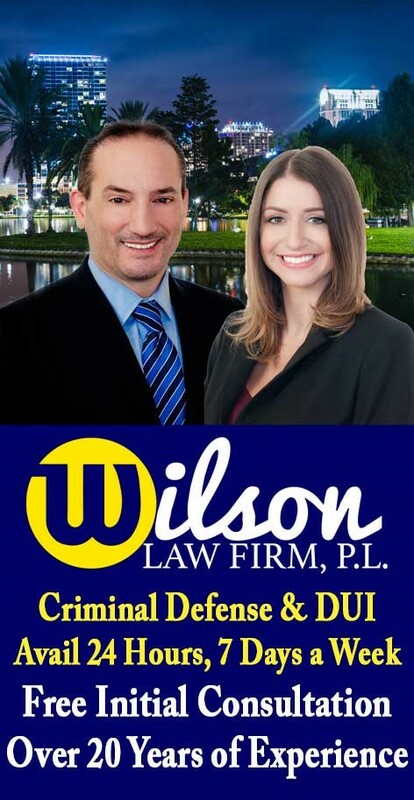 Reckless Driving – The Wilson Law Firm provides a free initial consultation with an experienced Orlando criminal attorney. Call us today to speak with an Orange County criminal lawyer about the legal process and your rights.